The interview as text and performance. ← John Dillon: CONVENTIONALLY, THE INTERVIEW is not considered a stand-alone art form, but a discussion or context for situating the artist or the artwork. Do you think the interview, as a genre, could be considered an art form? Richard Berengarten:→ THE CONVENTIONAL VIEW makes good but not complete sense. I’d argue that an interview can be considered as an art form, for various reasons, and that it’s a ‘part of the work’ in a distinctive way. JD: Could you unpack this understanding a bit? When a published interview with a writer is in question, since the writer’s medium is words, a statement made by that writer about his/her writing could itself be said to be integrally part of the oeuvre. RB: Well, let’s start by exploring the literary interview, as text, and then branch out from there. When a published interview with a writer is in question, since the writer’s medium is words, a statement made by that writer about his/her writing could itself be said to be integrally part of the oeuvre. Admittedly, it may be regarded as secondary, or ancillary to the main body, thrust, intention, etc. of the ‘work’, or as a by-product of it, or explication or commentary on it—in the same way, say, that a writer’s correspondence or notebooks are, or an autobiography can be. But still, after that writer’s death, an interview unquestionably becomes part of the overall work. What’s more, a statement made in an interview may even be interpreted in retrospect as a key that unlocks integral themes, patterns, meanings, contexts, etc. in the rest of the work. Ted Hughes’ comment about poetic intention, for example, in his famous Paris Review interview2 is arguably as self-revealing and as crucial to an understanding of his own poetry as is, say, Keats’ striking comment in a letter to his brothers on ‘negative capability’, which illuminates his own mode of composition.3 Seamus Heaney’s 2008 book of interviews with Dennis O’Driscoll, a single, sympathetic and informed interlocutor, combines the candour of personal narrative with the pleasure of relaxed conversation. This big book comes across as a kind of autobiography conducted through dialogue with an ever-ready interlocutor, and there are moments when it almost reads like an epistolary novel. The finest body of literary interviews in English is the Paris Review series. This has been going strong for sixty years. 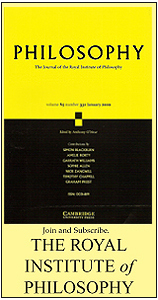 Its first issue in Spring 1953 contained an interview with E. M. Forster. Its first interview with a poet featured T. S. Eliot, six years later. Some of these Paris Review pieces are mini-classics, minor masterpieces in their own right. Second, if you think about it structurally for a moment, in an interview with a writer, something rather interesting is going on. A condition for an interview is that the interviewer is expected to know the writer’s work, i. e. to be a reader, and one who is informed, sensitive and attentive. So the interview itself is distinct from that writer’s other productions in that it gets made in collaboration with this other person, who may be but is not necessarily a writer himself or herself. Not only that: in an interview the sequential order of roles between reader and writer vis-à-vis the text is reversed, since the interview starts with the reader-interviewer’s question. So within the frame of the interview itself, here for once the writer (text-maker) is not the initiator. Rather, that text’s first shaper and prime locutor is the reader-interviewer-interlocutor, even though of course in response to a prior text or texts by the writer. The literary interview, then, is a collaborative text motivated, prompted, encouraged—perhaps one could even say drawn out—from a writer by a reader. Third, like a jazz duet, an interview, is improvised. One of the basic elements of conversation itself is unpredictability. Neither interviewer nor interviewee knows entirely or exactly what will emerge from their interaction. Even if either one of them has a self-rehearsed plan or model, for example a list of points or a topical or chronological ordering principle, neither participant is or can be ‘in total control’ in advance. The contributions of both feed into the final version, and this integral whole will be more than the simple sum of the contributions of its makers: it will have a composite character of its own. Spontaneous surprise and discovery may occur on both sides, so that a reciprocity, an intimacy, may be generated, resulting in a particular energetic quality. And chance, serendipity and synchronicity may also play their parts in composition. What’s more, by encouraging, challenging, querying and testing the writer, a sensitive and attuned interviewer may elicit the expression of new ideas from the writer, not to mention buried or dormant memories. This kind of probing and extension of edges, this articulation of unexpected depths and heights, itself constitutes discovery, however small or subtle. The process is necessarily heuristic. It involves the interviewee in recursive or iterative mental processes, which themselves are key components of all original composition. I remember experiencing being pleasantly and unexpectedly drawn into reflection, in the very first interview I ever gave, for a Belgian student magazine, in 1981. The theme was translation. The interviewer, Kathleen Dispa, was studying languages and translation in Ghent. The role of the interviewer, then, is complex. There is a skill, even an art, in being an effective interviewer. The interviewer instigates and listens; prompts, guides, directs and redirects; and alternately interrupts, challenges, argues, confirms, criticises, questions, provokes, encourages, elicits, extrapolates, summarises, and, finally, is likely to signal closure. An interview is an exploration of a field by two participants. And in whatever way it proceeds through, across, or around its field, and whatever tracks it takes, it involves a mapping of that field. It may excavate unexplored areas and new layers, yielding unexpected findings like an archaeological dig. And it may shape the field into new patterns. The interview, whether considered as an art form or not, and in whichever medium it occurs, first flourishes in the twentieth century. It belongs to modernity. Finally, to go back to the jazz analogy, the interview, whether considered as an art form or not, and in whichever medium it occurs, first flourishes in the twentieth century. It belongs to modernity, is shaped by modernity and in turn contributes to the shaping and reshaping of modernity. And it does so alongside and entangled with other twentieth century forms, in meshes and swathes of mutual influence. JD: I think you’re spot on, especially about the last point. Could we explore the interview a bit more by looking at its basic history and structure, as we know it today, across different media? And since anybody can be interviewed, not just writers, could we expand outward from the literary interview? RB: As you suggest, whether literary or otherwise, the interview has developed into an accepted modern genre which is familiar to everyone, with its own distinctive forms and expressions, varying according to whether it’s printed, sound-recorded, or video-recorded. The factor common to all these is that its medium is language, and its required pattern is that of a conversation, or rather, record of a conversation, about a topic or range of topics. Primarily, it requires a minimum of two speakers or writers: an interviewer and an interviewee. The interviewer’s role, by and large, is to put questions, and the interviewee’s to answer them. Within this overall framework, all kinds of performative variation are possible. Questioning is also what happens or is supposed to happen, incidentally, to a witness or suspect in a law court or police interrogation, under strict rules of formal engagement with regard to what is and is not admissible as factual, truthful, relevant, and so on. An interview can be an interrogation: an interrogation is a kind of interview. It could be an interesting project to research and document the precise history of the interview. Could we think of Plato’s many dialogues, and Xenophon’s Memoirs of Socrates, as progenitors of the interview? And Boswell’s Life of Samuel Johnson? And Diderot’s dialogues, such as Le neveu de Rameau?4 I don’t see why not. My guess is that the interview could even turn out to be as old as writing itself. A researcher might well come across transcriptions or records of questionings and interrogations long before the twentieth century, perhaps some of them very ancient, whether strictly legal or outside the law. Perhaps documents that were kept secret or confidential by officials? Could the first interviewees have been witnesses or suspects of crimes, and the first interviewers interrogators? Or might interviews have been recordings of legal transactions, such as contracts? 1869 Nation (N.Y.) 28 Jan. 67 The ‘interview’, as at present managed, is generally the joint product of some humbug of a hack politician and another humbug of a newspaper reporter. 1884 Pall Mall Gaz. 31 Dec. 3/1 Among the permanent gains of the year the acclimatization of the ‘interview’ in English journalism certainly should be reckoned. It’s clear from these that the published interview has developed as a peculiarly modern genre, and the quotation marks around the word ‘interview’ in the first two extracts strongly suggests a neologism. The earliest so-called ‘newspapers’ and ‘newsbooks’ evolved in the early seventeenth century. First expressed in the medium of print, conversations—whether fictitious or factual—were ‘reported’ in The Spectator, Tatler, Rambler, and other eighteenth century periodicals. 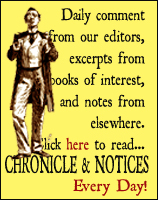 Those chatty, gossipy publications had large followings, and they contain plenty of conversations that were or purported to be what now we might call ‘up-to-the-minute’ news. The interview as we know it today began around the mid-nineteenth century. It has evolved since then through technologies that include both sound and vision: via radio, cinema and TV to Internet, YouTube, etc. The terms broadcasting and publishing both mean ‘making public’. JD: In other words, the modern interview has grown, very specifically, out of recording technologies. RB: Yes, first from print to sound. After the invention of sound recording in France in the mid-nineteenth century, followed by Thomas Edison’s invention of the phonograph in 1877, writing—including printing—no longer constituted the sole means of recording language. The power and privilege of the written word were challenged and, arguably, have waned ever since. Since then, sound recording has developed from phonograph through dictaphone, telephone, radio, gramophone, vinyl record, tape-recorder, mobile phone, digital sound-recorder, and so on. And alongside sound recording, visual recording has grown out of photograph-stills, through silent movies, sound-track movies, television, videotaping, digital movie-recording, internet videos, video-phones, skyping, video-conferencing … and whatever the next wave of new inventions will bring us. The series Ancestors, Filmed Interviews With Leading Thinkers is a fine example of how the interview as a genre has both been shaped by new technologies and kept up with them. Founded in Cambridge in 1982 by the anthropologist Jack Goody, this collection has been developed extensively by Alan Macfarlane, aided by his wife Sarah Harrison, both also anthropologists. Relying largely on the agglomeration of talents in and around Cambridge, this collection now contains more than two hundred interviews with thinkers, scholars and artists in many fields, and is still growing. I think I may be the first poet to have been interviewed in this series.6 Macfarlane’s procedure couldn’t be simpler. The model for all his interviews is biographical: each one starts with family background (‘ancestors’) and continues through earliest memories to childhood and education. He sits, with a fixed camera on his lap, and asks questions as he is recording. He then sends a DVD of the session to the interviewee, along with a set of typed summary-notes, each of which is prefaced by an indication of the time of the entry measured from the beginning of the video. The interviewee checks both, and has licence to cut parts of the video and edit the notes, though not to add in anything that wasn’t in the original. Finally, the interview is posted on YouTube and gathered into the archive on a dedicated website, where every video is accompanied by the summary-notes in scroll-down format. In this way four separate technologies (print, sound recording, video recording and internet streaming) combine. Similarly, on our computers we can now listen to a recording of a song or a poem, and read the words of the lyric at the same time. I often do this. What we may think of today as a single media-form, for example video-recording, is often the composite result of entirely separate inventions. Often the multimedia format itself creates innovation and goes on to combine and recombine with other technologies. Today, technologies not only co-exist alongside one another, but interpenetrate and blur, as do (most recently of all) distinctions between ‘public’ and ‘private’ communication in, for example, dialogues, discussions, arguments and commentary threads on Intranets and the Internet, especially on sites such as Facebook and Twitter. As users and consumers, we tend to take this interpenetration and blurring of communication technologies for granted, especially between vision and sound. Yet despite this fuzziness of edges, there are still distinctions to be made between spoken and written interviews. JD: How would you characterise these distinctions? RB: If we pause to think structurally about the development of recording technologies, the history of the English verb to record itself provides ample evidence and opens several insights. The OED gives thirteen definitions, the first of which is obsolete: ‘[t]o learn by heart, to commit to memory, to go over in one’s mind; (also) to repeat or say over as a lesson or portion of memorized text, to recite’. But the twin motif of repetition and reiteration present here is latent in all later instances. Another definition is: ‘[t]o relate, narrate, or mention in a written account; to put or set down in writing or some other permanent form; to put on record’. The first cited instance of this meaning is 1340 and the most recent, 2007, even though all the examples concern writing and none relate to any ‘other permanent form’ of registration. Another entry states: ‘[t]o convert (sounds, images, a broadcast, etc.) into permanent form for later reproduction or broadcast, formerly using mechanical means, now chiefly using magnetic tape or digital electronic techniques’.7 The first cited example of this later usage comes from the journal Science in May 1888: ‘There is no doubt that the phonograph can accurately record all varieties of sound.’ Yet, curiously, no citation is given in this entry for the recording of ‘images’. For the noun record, the OED offers sixteen definitions, several of which are obsolete. As for the ‘gramophone record’, Emile Berliner developed this between 1894 and 1900, and Berliner and Eldridge R. Johnson first marketed it through their ‘Victor Talking Machine Company’ in 1901. So at the threshold of the twentieth century, ‘talking machines’ led to the birth of the interview as we know it today. The common Greek etymology of the neologisms phonograph and gramophone is itself interesting: both these words were purposely constructed to suggest the idea of ‘voice-writing’ / ‘sound-writing’, just as telephone means ‘distance-voice/sound’ and telegraph ‘distance-writing’. JD: IT SEEMS TO ME me that part of Modernism is inherently linked to the idea of the autonomy of language or language ‘as such’. This seems to be the critical distinction you’re making and the change in thinking that occurs at the end of the nineteenth century. RB: Linked, yes, but not bound. Connected, yes, but not exclusively. I think this early twentieth century idea of the ‘autonomy of language’, which has persisted through to our own day, makes sense if it means that language is distinct and separable from other ‘fields’, but not if language is thought of as an entirely self-sufficient system without relationship to or bearings on non-linguistic reality. Which is to say, not only syntagmatic but also paradigmatic (i.e. semantic) relationships need to be borne in mind. On the one hand, it could well be said that linguistics as we know it today first ‘arrived’ in the years during and after the First World War. Daniel Jones published his groundbreaking Outline of English Phonetics in 1918. Ferdinand de Saussure’s Cours de Linguistique Générale came out in 1915, based on careful notes taken by several students during his lectures at the University of Geneva between 1906 and 1914. Saussure is supposed to have said, ‘Une langue est un système ou tout se tient,’ though it may have been Antoine Meillet, or someone else.8 And, yes, Meillet launched the telling catchphrase ‘the autonomy of linguistics’ at the first Congress of Linguists in The Hague in 1928.9 Similar quotations can be found from many other linguists and psychologists of the period.10 And all this was going on in the heyday of the first literary modernists, around the same time as the publication of Ulysses (1918-22) and The Waste Land (1922). I suppose it could be argued that, from Ulysses, right the way through the Surrealist Movement—Breton wrote the ‘Surrealist Manifesto’ in 1924—and Finnegans’ Wake (1939), to Pound’s last Drafts and Fragments of Cantos (1970), the ‘autonomy of language’ reigned supreme over broad swathes of literary practice and theory. On the other hand, explicit focus on language ‘as such’ is as old as recorded scholarship—no, even older, as old as myth.11 There were ancient Sanskrit and Greek (Stoic) grammarians. The medieval Scholastics made key contributions to linguistic theory, as did Locke and Leibniz in the seventeenth century.12 At that time, the Port-Royal scholars explored the idea of a universal grammar, long before Wilhelm von Humboldt in the nineteenth or Chomsky in the twentieth.13 So it would be false to identify the start of scientific enquiry into language with modernity or modernism. What’s more, despite all calls or claims for autonomy, it would be equally wrong to think that throughout the modernist period language wasn’t seen as indissolubly bound into other disciplines and fields of enquiry. Think of Freud writing on dream-language, puns, and slips of the tongue in The Interpretation of Dreams, another turn-of-the-century phenomenon, first published in German in 1900;14 of Frazer, Freud and Jakobson, all writing from their different perspectives on language, myth and taboo;15 of many anthropologists—from Émile Durkheim, say, through Claude Lévi-Strauss, Gregory Bateson and Mary Douglas to Victor Turner—investigating the languages of symbolism and ritual;16 of Jung and waves of successive Jungians exploring symbolism and the archetypes;17 of Jakobson’s, Cassirer’s and Eliade’s diverse enquiries into language and myth;18 of Vygotsky on ‘inner speech’;19 and of Wittgenstein on language games20—as just a few examples. It’s clear from the writings of all these major thinkers that, right from the start, focus on language is explicit, and emphatically so, in modern psychology, cognitive studies, anthropology, philosophy, sociology, and so on. It permeates every one of these disciplines. And in evolutionary studies, the origins of human language continue to exert fascination as a topic of enquiry, as in the writings of Philip Lieberman and Derek Bickerton, with titles like Eve Spoke and Adam’s Tongue21—even though proof of early language evolution of any kind is impossible to come by, simply because speech organs are in the soft tissue, so there are no fossil records. For all these reasons, on the whole I’d prefer to emphasise the connectedness of enquiries into language with those in other fields, not its autonomy. And I’d say this of modernist artistic movements as well as of scholarship. At any rate, in the new art media and forms precipitated in the first third of the twentieth century, especially film and TV, language is one component in a bundle of many others. And incidentally, in the 1980s and 1990s, Roy Harris attacked these early twentieth century notions of language as an abstraction, calling this the language myth and segregationalist. He proposed instead an integrationalist linguistics.22 Perhaps the interview should be described as an ‘integrationalist genre’. In thinking about the interview as a new genre, one that arrives with modernity—and even as one that in its own minor way characterises and its characteristic of modernity—it’s the interminglings and intermeshings of influences that I find more interesting and productive for discussion. As I’ve suggested already, I see the interview as a genre ‘entangled with other twentieth century forms, in meshes and swathes of mutual influence’, though I suppose it could be argued that the linguists’ insistence on the ‘autonomy’ of language as an object of scientific study itself has acted as an attractor for other disciplines. JD: Related to the autonomy of language, could you expand on the relation you see between ‘talking machines’ and the birth of the interview? At any rate, given the wave of new recording technologies that arrive with (alongside, on, beneath) the swell of modernism, an interview, to be disseminated (i.e. published), no longer needs to be a text in the limited sense of a piece of writing. All that’s required is that it should be a record in the main sense we’ve met in the OED: something that has been ‘put or set down in writing or some other permanent form’. This is to say: the nouns text and record or recording need to be assimilated towards each other, as do the verbs publish and broadcast. Our descriptive, analytical and critical terminologies, and with them our understanding of aesthetic and literary genres, constantly lag behind the rapidly shifting cultural realities created by new communication technologies. All new technologies spawn and proliferate new art forms, as well as innovations and expansions (or shrinkings and narrowings) in old ones; which means that we need, consciously, to keep modifying and re-modifying our understanding of what an art-form is, what is a literary ‘work’, or ‘genre’, what a ‘performance’ or ‘copy’, what an ‘original’, and so on. Aesthetic and literary theorists nearly always think retrospectively, lagging behind practitioners. JD: What about the contemporary situation of the interview, as far as technologies are concerned? RB: New technologies don’t necessarily replace older ones. Older technologies continue alongside new ones and constantly merge with them, as I’ve suggested from the embedding of different technologies in Alan Macfarlane’s Filmed Interviews. David Edgerton’s brilliant study of technologies since 1900, The Shock of the Old, analyses the longevity and adaptability of old technologies across many fields, including production, maintenance, war, killing and invention. Paradoxically, the picture he paints seems startlingly original to us because we don’t usually notice old technologies; and the reason we don’t notice them is that ever since Baudelaire’s italicised injunction at the end of his poem ‘Le Voyage’ (‘Au fond de l’Inconnu pour trouver du nouveau !’),23 we’ve been heavily programmed by the Modernist Zeitgeist to be obsessed with novelty and innovation above anything else. But there’s nothing new in new and old technologies co-existing and complementing one another. In China, there are archaeological records of ancient writing with both chisel and brush on both bone and turtle shell, and then with brush on clay, bamboo and silk; and all these technologies went on contemporaneously, even though the techniques of working with these various materials developed at different times. Add to this writing carved into stone and smelted into bronze: many technologies! There is actually a very interesting study by Tsuen-Hsuin Tsien entitled Written on Bamboo and Silk: The Beginnings of Chinese Books and Inscriptions. Similarly, in our case in point: printed media, sound-recording and video-recording all co-exist and continue to have active roles in present-day communication systems. When I write, I use pen and paper, and keypad and computer. I oscillate between the two technologies. Evidently then, the interview today nestles comfortably among all these conditions. It’s not only immensely adaptable, but blurs or shears off into other applications too, which in their turn gather and transform previous material and proliferate new techniques, content, and forms. YouTube, which now in 2015 is only ten years old, already abounds with video-recordings—not only of writers but of practitioners working in every imaginable creative field—conversing, lecturing, conferencing, taking part in seminars and workshops, and giving interviews. YouTube has spawned a fine and growing retrospective archive of modern and modernist intellectual, literary and artistic interviews. Two that I find especially rewarding are a fragment of a 1939 audio interview with Sigmund Freud and John Freeman’s 1959 BBC video interview with Carl Gustav Jung. There is also a polished and sometimes funny video interview with Freud by Dr. Ruth. But sometimes material gets put up on YouTube and then suddenly removed because of copyright infringements. For example, a video-conversation between Henry Miller and Anaïs Nin on ‘Death and Dreams’, which I watched two years ago, has disappeared, while an interview with Anaïs Nin in French has appeared, as if from nowhere. A huge amount of previously closeted material is constantly becoming available, almost globally. JD: Would you say, then, that the interview has an increasingly wide role today? RB: The interview is so common that it’s entirely taken for granted. If you consider what’s all around us in our contemporary media, the interview turns out to be the core of all radio journalism, as well as a good deal of radio entertainment. When it comes to television, the interview has a huge role in both news and entertainment. What we call, broadly speaking, ‘The News’ and ‘the documentary’ both extensively depend on interviews. Talk breeds talk. And as soon as sound and visual representation combine, the interview’s tones and styles get more and more varied, ranging from the delicately explorative and the sensitively empathetic and revealing, to the explosively antagonistic and dramatically confrontational, or the purportedly objective and coolly detached. The last style applies particularly to interviews with scientists, specialists, experts. The interview is also the core and base for all chat-shows, of course. On the strengths of this sub-genre, chat-show hosts have assumed celebrity status, as often as not for celebrating ephemeral trivia, just as the gossipy authors of The Spectator did in the early eighteenth century. What’s more, the interview turns out to be a perfect vehicle for comedy. Michael Parkinson, for example, has broadcast unforgettable interviews, classic performances in their own right, with actors like Peter Ustinov, David Niven, Peter Sellers, and Kenneth Williams, to name only a few. JD: So the interview or dialogue is wide-reaching and flexible as a genre. RB: Yes. So we need to extend our notion of an interview to its being a form available to all creative artists and thinkers. Here again, Alan Macfarlane’s work is a model. Recently I went to the Moore-Rodin exhibition at Perry Green, once Henry Moore’s home and workplace, and now centre of the Henry Moore Foundation.24 Moore was far more than a sculptor. He worked indefatigably in many overlapping and mixed forms and media: for example making etchings, drawings, prints, photographs, books and broadcasts, and inspiring tapestries.25 Since then, in the BBC Internet archives, I’ve come across an interview made with him by the poet and art critic Edward Lucie-Smith in 1981. This piece, along with others like it on the same website, is unquestionably part of Moore’s artistic oeuvre. And this particular one is equally part of Lucie-Smith’s. JD: So do you think interviews of this kind can help to demystify an artist or thinker? RB: A good interview can be an equaliser in that it strips away pretensions and reveals the humanity of the interviewee. And this applies to any interviewee, not just writers, artists and thinkers. An interview can’t avoid being personal and intimate. All you need to make an interview is two people: one asking and the other answering questions, plus a way of recording the exchange, followed by some editing. As the mass production of sound and video technology gets more streamlined, and as recording and playback devices get smaller, cheaper, and more easily available to billions of people, making an interview gets progressively easier. And the fact that anyone can interview anybody makes it a very democratic genre. You could even say that the interview is an instrument for democracy. I think the rise of journalistic reporting in the first newspapers, in Europe and North America in the seventeenth century, themselves reflected and were part of social democratisation. JD: Can you think of any historical markers for the interview being keyed with democracy or democratisation? RB: A significant twentieth century marker is the Mass Observation movement that began in England in 1937, founded by the poet Charles Madge, filmmaker Humphrey Jennings, and ecologist and polymath Tom Harrisson. Their work was entirely modelled on real-life interviews. As the first widespread information-gathering experiment of its kind, it was grounded in socialist beliefs. Mass Observation was a hugely innovative movement. It aimed to give voice to ‘ordinary people’, not via interpretations overlaid by the ideologies of the ruling élites, but through their own statements, their own words. The interviewers were volunteers. Mass Observation also showed that interviews record not just ‘facts’ but beliefs, ideas, opinions, and that these, organised statistically, could clarify patterns, trends, movements in and among subjectivities in a relatively ‘objective’ way—relatively, because the notion of any wholly detached, impartial observer had been exploded. Statistical analysis of interviews, then, reveals intersubjective patterns at least as relatively objective and probabilistic tendencies, if not exactly as ‘facts’ in their own right. The movement later gave rise not only to opinion polls and the established role of questionnaires and interviews in sociological research, but also to market research as we know it today. Today, carefully structured interviews have become a basic and required instrument for qualitative research. Similarly, an interview with an expert or skilled person of any kind—whether theoretician or practitioner—is capable of offering insights into the interviewee’s underlying beliefs, premises and motivations, regardless of that person’s fields of interest and activity. So the specialist, who was perhaps once forbidding or awesome—in fact, anyone ‘on a pedestal’—can be humanised, simply because what dialogue of any kind most clearly characterises and reveals is the human. In a video-interview, even if the interviewee aims to disguise facets of personality, these are likely to be picked up by visual clues. A good video-interview, then, can break down mystiques. It can reveal and it can debunk. When there’s a human story to tell, understanding becomes easier, and perhaps empathy ensues—or its opposite. The video-interviews I’ve mentioned with Freud and Jung, for example, give direct insights into their personalities that couldn’t have been achieved in any other way. As every politician knows, the relative effectiveness of a candidate’s performance in televised interviews has a strong influence on voters. The video-interview has played a vital role in uncovering, narrating and documenting unpleasant or shocking truths that might otherwise have remained hidden or at least not easily have become accessible. As for ‘revealing’, there is a further way in which the video-interview functions as an immensely powerful and direct communicative medium: that is, in historical witnessing. The video-interview has played a vital role in uncovering, narrating and documenting unpleasant or shocking truths that might otherwise have remained hidden or at least not easily have become accessible. Here, I’m thinking in particular of the work of the Yad Vashem Holocaust History Museum, Jerusalem and of the Shoah Foundation, Los Angeles, in documenting atrocities. The Yad Vashem International School for Holocaust Studies has an extensive online Video Resource Center containing video interviews with survivors, and these are a key part of the presentations in the museum itself. The Shoah Foundation in LA was founded in 1994 by Steven Spielberg after his experience in directing Schindler’s List. Situated at the University of Southern California (USC), the Foundation’s original purpose was ‘to gather video testimonies from survivors and other witnesses of the Holocaust’. I was taken on a tour of their Centre, with my son Gully Burns, a research scientist at USC, during Holocaust Memorial Week in 2012, when I was giving a poetry reading there from my book The Blue Butterfly. So far, the Shoah Foundation has conducted testimonies in more than sixty countries and thirty-nine languages. The USC Shoah Foundation Visual History Archive includes ‘more than 52,000 testimonies of Holocaust survivors and other witnesses’, and has recently also incorporated documentation from the 1994 Rwandan Tutsi Genocide, the 1937 Nanjing Massacre in China, and the First World War Armenian Genocide. The entire structure of this Archive has been based on the video-interview and built up around it, with meticulously chosen questions and scrupulously standardised procedures. State-of-the-art digital technology underlies complex operations in indexing and cross-referencing, enabling researchers to access information increasingly quickly. Clearly, the educational and research work of both these Institutes would function considerably less effectively without the video-interview, whose immediacy strongly, simply and swiftly authenticates testimony. Today, the vast potential of the interview to document facts and to express thoughts and ideas is taken so much as a matter of course that it hardly even seems to be innovative. I don’t think the potential of the interview as a form or genre is ever likely to be exhausted. The interview is always directly human, and richly and often poignantly personal. What I’m interested in doing with it vis-à-vis the art of poetry is taking it in new directions, and as far as one can go, particularly in the depth and detail offered by collaborative editing, so as to weave those many loose strands back into its fabric that, in conversation, invariably fly off and get lost. Just as we are doing here. JD: I’D LIKE TO ask some further questions that tie in with the development of the interview as a genre. I know that Levinas and his work on the face are important to your thinking.26 Do you think that it’s necessary for the interview to be done in person? Does the potency of the interview depend on sitting in the flesh so to speak, next to the person? RB: Physical facing grants the dramatic immediacies of contact. In a radio interview made by two people together, proximity can be intuited and inferred by a listener, even though the voices are disembodied. For performative qualities of sheer liquid speed and fluent spontaneity, as well as wit, verve, humour, elegance, and a certain kind of intimacy, nothing beats a sound or video interview in which participants face each other, especially if the interviewee is alert and quick-witted. These effects derive directly from physical proximity, whether supposed or directly perceived. With video, the viewer’s ability to register evident human interaction increases to include eye contact, facial expression and body gesture.27 Incidentally, all these factors work brilliantly for comedy. Think, for example, of classic sketches like ‘The Frog and Peach’ and ‘Teaching Ravens to Fly under Water’ by the English comedians Peter Cook and Dudley Moore, featuring interviews with the hilarious fictional character Sir Arthur Streeb-Greebling, or the more recent sketches in the same tradition by John Bird and John Fortune, such as their brilliant skits on investment banking and the financial crisis. What’s more, for the contemporary audio-visual interview, once again technology comes into play. Via telephone, which has been around for a hundred and fifty years, and now via skype, which was founded twelve years ago (2003), long-distance interviews and conferences have become the norm for both radio and TV, for example in conflict coverage. Radio and TV broadcasts both assume distance between speakers as well as from listeners and/or viewers. From the listener’s or viewer’s perspective, even if receiving broadcaster’s voices and/or faces from different locations isn’t quite as immediate as registering speakers’ physical proximity to each one another, it can still transmit communication in an authentic way. That’s one side of the coin: direct sound, direct vision: immediacy. But interviews that are meant to be read rather than listened to or watched get made and need thinking about in a quite different way. JD: Right. This interview has been done via email and over a fairly long stretch of time. Emailing is becoming a common way of doing literary interviews. What are its specific features? And how do you think it changes the genre? RB: First, it involves writing. It’s epistolary. By comparison with oral delivery, written exchanges of any kind automatically lengthen the time gap between correspondents reading and responding to each other’s messages. Email is obviously much faster and more immediate than snail mail. But it’s still mail, still ‘correspondence’. Time gaps between communications inevitably lengthen. As for space, far from requiring proximity, email simply relinquishes it. Like a letter, postcard or telegram, it assumes the fact of physical distance, both between interviewer and interviewee and between writer and reader. Email brings relativity into my immediate mental and physical being and environment—into my head and body, via my laptop, iPad or smartphone, wherever I happen to be. But I think email does something else, too, something quite curious, that snail mail doesn’t achieve. First because its transmission is almost instantaneous, second because it’s global, and third because it’s virtual (paperless), the combined psychological effects of its speed, universality and lack of materiality are to ‘shrink’ or ‘shatter’—or ‘demolish’ or ‘abolish’, or, if you like, ‘float on’ or ‘flatten’ both time and space—I mean, it combines space and time into a relativity that’s genuinely felt, personalised, rather than just being apprehended mentally, theoretically, abstractly. I’m suggesting, then, that email brings relativity into my immediate mental and physical being and environment—into my head and body, via my laptop, iPad or smartphone, wherever I happen to be. So relativity is no longer apprehended only as an idea that belongs to the remote academic domains of maths and physics, like a cloud in Einstein’s hair, as it were,28 but as a living and thoroughly lived actuality. The email interview simultaneously dematerialises communication and locates it increasingly firmly in a relativistic, intersubjective zone: an interesting combination. JD: Could you unpack this idea a bit more? What are the effects on correspondence, on the interview, because of this dematerialisation? RB: In practical terms, in an email exchange, for one thing, it doesn’t matter where the correspondents are. Place is incidental and more or less irrelevant. The ‘zone’ where the act of communication takes place is in the text. Today, for example, I’ve been exchanging emails with friends in Belgrade, Buenos Aires, Cambridge, Gaeta (Italy), London, Marseillan (France) and South Bend (USA). All this without batting an eyelid. Now, the text (a word that’s cognate with texture and tissue) exists on a screen. It doesn’t need to exist anywhere else. It’s been dematerialised. So the material of the text no longer needs to be material at all: it’s no longer inscribed on bone, shell, stone, clay, bronze, bamboo, silk, or even paper. What we call its virtuality, that is, its as-ifness, itself creates a new actuality: a relativistic reality. JD: Yes, and this is all part of an entirely new set of phenomena that’s affecting us all right now. The Internet, Google, email, Skype, iPads, eBooks, Kindles, blogs and so on, all mean fundamental changes in the ways we think, use language, and write. RB: Yes. Or, rather, perhaps. For how ‘fundamentally’ I’m not sure. Distinctions between what is public and what is private change all the time and from one culture to another. In a single culture, patterns often seem to oscillate cyclically: closed, open, closed, and so on. The interview itself, as used in statistical research, has often broken into zones previously regarded as private. Think of the Kinsey Reports of 1948 and 1953 in the USA, the first on male and the second on female sexuality. The 1948 study involved around 5,400 interviews and the 1953 study around 6,000. Incidentally, the findings on sexuality by members of the Mass Observation team in the UK were repressed at the time. JD: Could we go back to the more fundamental and traditional distinctions between audio-visual interviews and written interviews? RB: Isn’t it astonishing how quickly and seamlessly we adapt and keep adapting to this spate of new technologies, and forget methods that have fallen by the wayside? Who remembers audio-cassettes these days? Actually, I do! I still have my old collection, and recently I bought a second-hand ghetto-blaster, so I often play my old audio-tapes. So here again, I’m using an older technology as well as new ones. … Even so, I think all these increasingly interconnecting and faster developing technologies do posit—and are crucially part of—interesting times not only for technology but perhaps for human consciousness too. They have far-reaching implications, not just in communications but in the ways we now inhabit and relate to our own identities and those of others, and how we’ll do so in future. And also to how we inhabit and relate to time, and space. This is a vast subject. In its small way, I think our exploration here of the growth and patterning of the interview as an integrative and intersubjective art form, and across various media, may be an expression of these wider issues and may serve as a route into them. As for the question of the similarities and distinctions between working in speech and in writing, it applies, obviously, not only to the interview, but to the art of poetry itself. JD: SHALL WE TAKE this opportunity of exploring, then, how the performative aspects of the interview inform other forms of composition? And basing our discussion in the interview, as an instance, broaden out from that to include poetry too? RB: I think you can look at this issue in various ways, most of which ultimately come down to how a piece of work is processed, configured, edited, transmitted and received in time and space. Again, let’s take the interview as our starting point. Conversation is like a river, deep and fast-flowing. It gathers up whatever’s thrown into it. If you’re in it, it rushes you on. Conversation is like a river, deep and fast-flowing. It gathers up whatever’s thrown into it. If you’re in it, it rushes you on. In a spoken interview, there’s little or no chance of going back to previous points or positions which, responding to on the spur of the moment, you may not have covered adequately or satisfactorily. But while multiple and complex thoughts often arrive synchronously or pile up one behind one another, sometimes with unexpected force, so long as your aim is comprehension by another person, any delivery of words, in any language—and by the nature of all languages—absolutely demands sequential delivery. So in an oral interview, as in any conversation, sometimes you have the sense that you ‘can’t get it all out’. What’s more, you may have so much to say simultaneously in answer to a single question that the most immediately dominant, obvious, or available thought simply blocks out others which might well be—or have been—deeper, finer, more interesting, and more subtle. And if or by the time you remember what had been blocked or locked out, the dialogue is likely to ‘have moved on’, so that your previous point seems irrelevant. And anyway, by then you and your interlocutor may both have interrupted each other, or you may have interrupted yourself, or both. A conversation, then, is a skein consisting of multiple strands, all interwoven, but many of which get frayed or suddenly terminated: cut. A conversation consists of a sequence of interruptions—of interruptions of interruptions of interruptions. So you ‘forget what you wanted to say’. And whatever that point or idea might have been may vanish forever without trace. Or, as Osip Mandelstam put it: ‘I have forgotten what I wanted to say, / and a bodiless thought returns to the world of shadows.’29 What is more, in a conversation, even if there are implicit guidelines, codes or restrictions with respect to relevance that have been imposed by exterior games-rules (as in a court of law or police interrogation) and/or by participators’ consent (as in any co-operative verbal interchange), any utterance can follow any other. This is a cardinal rule in what linguists call pragmatics, which is a kind of huge conceptual bin into which performative aspects of language get thrown if they can’t be explained structurally, i. e. grammatically. In this respect, the unexpectedness of a riposte or following question may be a virtue, a relief, a shock, or a pleasure, but in any dialogue, including the interview, the non sequitur—far from breaking open, i.e. exploring and revealing an idea from a new and original angle—may have the effect of breaking apart a nascent or partly formed thought, and so, effectively, fragmenting it, smashing it to smithereens. JD: So in the spoken interview, from the interviewee’s perspective, how would you say this affects composition? JD: So do you think watching or listening to a recording can really take us into ‘that time’? A recording defies time and mortality, or at least appears to do so. RB: We’re so dependent on our recording technologies, we inhabit them so fully, that it’s hard now even to imagine that there was a time before they existed. Or that Confucius and Aristotle and Aquinas, and Dante and Milton and Blake, and Bacon and Leibniz and Nietzsche—all lived in a world before them, without them. For us, thanks to these technologies, sound and visual recordings can be enjoyed, possibly even for perpetuity, and these can re-enact and retain at least some of the flavours of immediacy, freshness and speed of the original and, with every innovation and improvement, do so with increasing effectiveness. A recording defies time and mortality, or at least appears to do so. We all die, but if we leave archives, records, recordings behind us, they live on after us, preserving us, freezing us in our very ephemerality, enabling us, potentially—or ghosts of us—to be ‘taken out of storage’ at any time after. Even so, I can’t help wondering if in some respects watching or listening to even the finest recording isn’t always a reminiscence, a replay, of an irrecoverable original event. And every recording is processed and filtered in some way: that is to say, it is edited—just as we’ve been collaboratively editing this interview through a series of further emails. JD: I agree entirely. But I don’t think we’re so dependent on our recording technologies, and so intertwined with them, that we don’t still feel the nostalgia or longing for the ‘real’. RB: In a sense, recordings, whose function is precisely to enable repetition, are the next best thing to ‘having been there’. They take us at least part of the way (back, always further back) into myth-time. Even so, on screen, I wonder if we can ever quite re-enter the sacramental, ritual power of that original. If through a video-recording we do manage to get a glimpse, scent, taste, residual after-image of it, the experience is never quite full enough, never quite actualised completely, but always remains on an as-if basis, nostalgically. If we only could convince ourselves that we could enter fully, without and outwith the inviolable resistance of the past to being opened in its entirety and plenitude, might we somehow almost arrest or cancel the running down of historic time, the inevitability of entropy? But even if we may make a conscious decision to ignore the fact that, surreptitiously as it were, the editing process has created an entirely new artefact, I do think we can get slightly closer to a sense of original—or, rather, originary—experience through a sound-recording than through a video. JD: Turning to another aspect of performance, you’ve mentioned improvisation? What is its role? Improvisation itself needs to be based in and derived from a readily available fund, a large pool of possibilities, all of which are stored in memory. But what’s more interesting here, I think, is that improvisation itself needs to be based in and derived from a readily available fund, a large pool of possibilities, all of which are stored in memory. The keys to proficiency in delivery of all these art forms, then, are the intertwined and more-or-less simultaneous skills of quick access and immediate recuperation out of the memory fund, and their activation into performance. Speed of timing, pertinence and accuracy of response are all crucial. All performing arts involve the finely selected and fluently tuned presentation of material from memory. The most proficient performers of oral epic poems tend to be older practitioners who, by years of sustained practice, have developed long and capacious memories.34 I characterise the mode of creative thinking of these art forms as memory-based, performative, improvisational and recuperative—all at once. And this description fits the oral interview. JD: Isn’t this explanation a bit too neat? Could you say a bit more about the talent of improvisation? RB: I’ve had—and have—several friends who are wonderful conversationalists. These are rare people. It’s a pleasure to be in their company because whatever the conversation is about, they lift it. I think of my old friend Peter Mansfield. He could make any topic interesting, take it into wholly unexpected directions. Or Laurence Phillips, the travel-writer,35 who has a stunning gift for lateral thinking in the midst of conversation, which can send you into fits of laughter—not to mention diagonal, spiral, zigzag and vertical thinking. How do such gifted people do it? For one thing, sometimes their intuitive minds move their responses so quickly into their mouths that their own analytical minds catch up later. Second, they listen carefully, they give you full attention, they interact so totally that they’re always several thoughts ahead. And third, they perform and know they are performing because, when they improvise, they listen to themselves. So they’re fully in the now and have a curious way of knowing they are in the now. They think fast, their minds move multi-dimensionally, you never know quite what they’re going to say next. They seem to have a vast reservoir of reference. Sometimes it’s almost as if their own speed of response surprises them too, so they laugh at and with themselves. Conversation itself is a kind of jazz. They lift you too in response and participation. JD: How does this connect with the heuristic nature of the interview? RB: Improvisation is heuristic by default. It means you give surprises and get them by giving them. You don’t know what’s going to happen next. Your uncertainty meshes with the puzzle of nowness that is the now, and whatever comes in the next moment after now, and the moment after that, and so on. You find out—you can only find out—by doing, and there’s always more to do so you never stop finding out. But while you’re doing it, you can’t edit it. JD: So how does this model differ from the written or printed composition? RB: As we’ve agreed, in genres based in writing, the process of making occurs in space as well as time, as does its reception in reading. The making of any piece of writing is itself a formation that can be interrupted and returned to. Like the products of many other plastic arts, a piece of writing can—and sometimes must—be made in stages. It doesn’t simply flow or grow continuously along the current of linear time. All of which is to say: you can and do edit. What’s more, the resulting made ‘thing’—the ‘work’—becomes an object inhabiting a space, a locus, and hence it itself becomes a space, a locus, in its own right. It isn’t just an irrevocable and transitory movement. So, far from simply happening in a unique time-space, like the oral performance-composition, a piece of writing takes place. That is to say, it places itself and, in doing so, takes into itself place itself and placement itself. And the place it takes is preservable and, so long as it’s preserved, is available for endless non-identical repetition(s) and variation(s), for example in an edition—i. e. in many copies, which take places (plural). Unless of course the artist deliberately builds ephemerality (collapse, disintegration, decay) into the process, as in an ice sculpture, sand sculpture, or sand mandala. JD: And recursive/iterative procedures? Can you explore these processes that go into composing in more detail? RB: Within the physical limitations of the materials and technologies needed to make it, the mutating object that is the art-work, in the process of being made, is likely to require processes of re-vision, re-consideration, deliberation, deletion, alteration, re-drafting, re-casting, re-modelling, and so on. Eventually, you hope, the resultant completed work will have benefited, and have been enriched and deepened, by all these integrally and carefully connected, constructive processes of patterning and re-patterning. And all of which, you also hope, will embed the multi-layered, cumulative and accretive processes that will have gone into its slow making, as a corresponding multifaceted, polysemic quality. Because this is so, this kind of work—for example, a piece of writing—will never be absolutely identifiable with any single performance or reading of it. So it will always be incomplete, even when completed (written). That is to say: even though it will constantly demand a reading or performance in order to complete itself, any such reading or performance will inevitably be no more than a version, interpretation, derivation, deviation, or misinterpretation; it will always be open, unfinished. Here, then, perhaps, is a version of the myth of eternal return. JD: So the written text incorporates both sequential and spatial absorption? RB: That’s right. All writing and reading systems need to reiterate (re-enact, mime, copy) diachronic sequencing. They do so, universally, by transmuting diachronic sequence into spatial sequence: i.e. into lines. Linear sequencing is common to all writing systems in the world, whether alphabetic, hieroglyphic or ideogrammatic, whether set out vertically like traditional Chinese or Japanese or horizontally, and if the latter, whether directionally right to left, like Arabic, Hebrew, Persian and Urdu, or left to right, like West European languages—or boustrophedon. Training to write and read always involves learning to repeat lines. But that isn’t all there is to it. As I we’ve seen, in the process of writing, so long as you’re working in a malleable material, you can alter things as you go along. You can pause, delay, leave off, come back later, approach your partly formed text in a new mood, look at it in another light, and do all these things again and again. You can erase, delete, cut and paste, edit, tinker, change your mind, think of something better, revise, oscillate between alternatives, hold different possibilities in your mind, and manipulate. This is what the iterative or recursive process involves. Return and repetition inhere in all writing and in all reading. JD: So how, finally, would you sum up the differences between the two modes, the oral-visual and the written? If conversation is like a river (line, thread), flowing sequentially in one unstoppable direction, a text (or a recording, in the sense in which I’ve been using the word) is more like a lake, a reservoir. RB: If conversation is like a river (line, thread), flowing sequentially in one unstoppable direction, a text (or a recording, in the sense in which I’ve been using the word) is more like a lake, a reservoir. That is to say, it can be imaged, pictured, approached and re-approached, as a space in, though, around and over which—even while you’re actively doing things in it and to it, and shaping and bounding it—you have the freedom both of overview of the whole and of insights into its parts. It could also be said that the process of writing is like the making or walking of a path through a field. Two steps forward, one step back. Reculer pour mieux sauter. And one can exit the field and come back to it, any time. So, whereas performative speaking and listening (the reciprocal work of voice delivering language-sounds via mouth and receiving language-sounds via ears) are bound irreducibly into linear time, in writing and reading (the corresponding work of delivery-and-reception of visual-language-signs via hands to eyes), space gets added to the mix in a dynamic way. Finally, to return to the traditional field of written literature, in practice what the spatial dimension of the text means for both writer and reader is the reality of homing, of return, of breaking the arrow of time—or, rather, turning it into a boomerang. These, in turn, also mean that for arts based in writing, composition actively enables, invites and integrates procedures that are both accretive and iterative, as distinct from those these are performative, improvisational and recuperative. In writing, beginnings are everywhere. And all ends take you back to beginnings. Richard Berengarten’s books include The Blue Butterfly, For the Living, The Manager, Book With No Back Cover, Imagems (2013), Manual (2014), and Notness (2015). Extracts from Changing (forthcoming, 2016) and his memoir on Octavio Paz have appeared in the Fortnightly Review. His work has been translated into more than 90 languages; cf. his introduction to the Volta Project. He is a Bye-Fellow at Downing College, a former Fellow of the Royal Literary Fund, and poetry editor of the Jewish Quarterly. 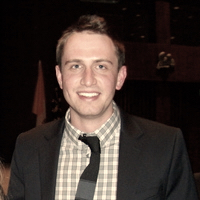 John Dillon is the Postdoctoral Fellow in Learning Analytics and Text Mining at the University of Notre Dame, and Assistant Director at the university’s Writing Center. His areas of research and teaching are European Modernism, Digital Humanities, and Writing and Rhetoric. He is the co-founder and director of Breac: A Digital Journal of Irish Studies. In addition to literary research, he works with IBM Research on data mining and text analysis for learning assessment and development. Bateson, Gregory. Steps to an Ecology of Mind. St Albans: Paladin. Baudelaire, Charles. 1968 (1857). Fleurs du mal, eds. Jacques Crépet and Georges Blin (Paris: Librairie José Corti. See also ‘Le voyage’. Berengarten, Richard. 2016. ‘On Poetry and Sound: The Ontogenesis of Poetry’. Bickerton, Derek. 1990. Language and Species. London: University of Chicago Press. ______. Adam’s Tongue: How Humans Made Language, How Language Made Humans. New York: Hill and Wang. Bird, John and John Fortune. ‘Silly Money’; and the repeat, ‘Subprime Crisis’. Boswell, James. 1986 . Life of Samuel Johnson, ed. Harold Bloom. New York: Chelsea House [see also the Project Gutenberg version]. Breton, André. . Manifestoes of Surrealism, trans. Richard Seaver and Helen R. Lane. Ann Arbor: University of Michigan Press. Cassirer, Ernst. 1946. Language and Myth, trans. Susanne K. Langer. New York: Harper. Cook, Peter and Dudley Moore. Undated. ‘The Frog and Peach’ and ‘Teaching Ravens to Fly under Water’. Diderot, Denis. . Le neveu de Rameau. Dispa, Kathleen and Richard Burns. 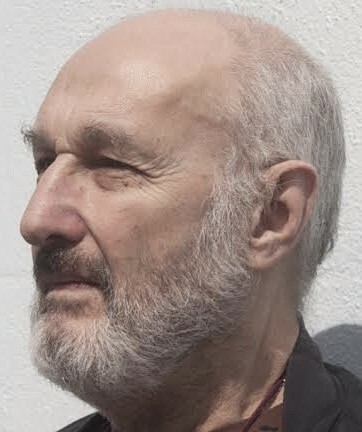 The Translator is a Dancer in Chains: Interview with Richard Burns, poet’. Janus, 5.3. December 1981: no pagination. Douglas, Mary. 1966. Purity and Danger: An Analysis of the Concepts of Pollution and Taboo. London: Routledge & Kegan Paul. Durkheim, Émile. 1963. Selections, ed. George Simpson. New York: Crowell. Edgerton, David. The Shock of the Old: Technology and Global History since 1900. London: Profile. Eliot, T. S. 1972 . The Waste Land. London: Faber and Faber. Eliot, T. S. and Donald Hall. 1959. ‘The Art of Poetry, No. 1’. Paris Review (29). Spring-Summer. Feldman, Anita et al. Moore Rodin. Perry Green: The Henry Moore Foundation. Forster, E. M., P. N. Furbank and F. J. H. Haskell. 1953. ‘The Art of Fiction, No. 1’. Paris Review (1), Spring. Frazer, Sir James. 1959 . The Golden Bough, abridged version. London: Macmillan. Freud Sigmund. 1938. ‘Sigmund Freud Speaks: The Only Known Recording of His Voice’. BBC radio recording: Open Culture. _____. 1961 . The Interpretation of Dreams, trans. James Strachey. London: George Allen and Unwin. Freud, Sigmund and Dr. Ruth. Undated. ‘Ruth and Sigmund Freud: The Full Interview’. Garrould, Ann, and Valerie Power. 1998. Henry Moore Tapestries. Perry Green: The Henry Moore Foundation. Harris, Roy. 1981. The Language Myth. London: Duckworth. _____ 1996. Signs, Language and Communication. London: Routledge. _____. 2002 . The Origin of Writing. London: Duckworth. Heaney, Seamus and Dennis O’Driscoll. 2008. Stepping Stones: Interviews with Seamus Heaney. London: Faber and Faber. Hopson, Janet L. 1998. ‘Fetal Psychology’. Psychology Today, October. Hughes, Ted and Drue Heinz. 1995. ‘The Art of Poetry, No. 71’. Paris Review (134), Spring. Hurford, James R. Undated. ‘Random Boolean Nets and Features of Language’. Jakobson, Roman. Main Trends in the Science of Language. London: George Allen and Unwin. _____. 1985 . ‘Slavic Gods and Demons’. In Selected Writings: Contributions to Comparative Mythology. Studies in Linguistics and Phonology, 1972-1982 [ VII]. Berlin, New York and Amsterdam: Mouton Publishers: 3-11. _____. 1985  ‘Linguistic Evidence in Comparative Mythology’. In Selected Writings: Contributions to Comparative Mythology. Studies in Linguistics and Phonology, 1972-1982 [Vol. VII]: Berlin, New York and Amsterdam: Mouton Publishers. 12-32. Jakobson, Roman and Linda R. Waugh. 1987 . The Sound Shape of Language. Berlin and New York: Mouton De Gruyter. Jones, Daniel. 1972 . An Outline of English Phonetics. Cambridge: Cambridge University Press. Jones, Peter E. 2009. ‘From ‘External Speech’ to ‘Inner Speech’ in Vygotsky: A Critical Appraisal and Fresh Perspectives’. Language and Communication (29): 166-181. Joyce, James. 1922. Ulysses. Paris: Shakespeare and Co.
_____. 1939. Finnegans Wake. London: Faber and Faber. Jung, C. G. 1968 . ‘Foreword’ to I Ching: the Richard Wilhelm Translation, English, trans. Cary F. Baynes. London: Routledge and Kegan Paul. _____. 1986 . Symbols of Transformation: Collected Works [Vol. 5], trans. R. F. C. Hull. London: Routledge and Kegan Paul. _____. 1968 . The Archetypes and the Collective Unconscious: Collected Works [Vol. 9, Part 1], trans. R. F. C. Hull. London: Routledge and Kegan Paul. _____. 1969  . ‘The Stages of Life’. In The Structure and Dynamics of the Psyche: Collected Works [Vol. 8], trans. R. F. C. Hull. London: Routledge & Kegan Paul: 387-403. _____. 1969  . ‘Synchronicity: An Acausal Connecting Principle’. In The Structure and Dynamics of the Psyche: Collected Works [Vol. 8], trans. R. F. C. Hull. London: Routledge and Kegan Paul: 417-532. Jung, C. G. and John Freeman. 1959. BBC Interview: ‘Face to Face’. Keats, John. 1970. Letters of John Keats, A Selection, Robert Gittings. Oxford: Oxford University Press. Kinsey, Alfred C. et al. 1948. Sexual Behavior in the Human Male. Philadelphia: W. B. Saunders. _____. 1953. Sexual Behavior in the Human Female. Philadelphia: W. B. Saunders. Koerner, E. F. K. Linguistic Historiography: Projects and Prospects. Amsterdam: John Benjamins. [Studies in the History of the Language Sciences, vol. 92]. Leibniz, Gottfried Wilhelm. 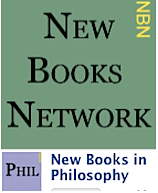 Works online [in Early Modern Texts]. Lévi-Strauss, Claude. 1962. La Pensée Sauvage: Paris: Librairie Plon. Levinas, Emmanuel. 2000. God, Death and Time, trans. Bettina Bergo. Stanford: Stanford University Press. _____. 2003 . Time and the Other, trans. Richard A. Cohen. Pittsburgh: Duquesne University Press. _____. 2003 . Totality and Infinity, trans. Alphonso Lingis. Pittsburgh: Duquesne University Press. Lieberman, 1967. Intonation, Perception and Language. Cambridge, Massachusetts: M. I. T. Press [Research Monograph No. 38]. _____. On the Origins of Language. New York: Macmillan. _____. Speech Physiology and Acoustic Phonetics. New York: Macmillan. _____. Eve Spoke, New York: W. W. Norton. _____. Toward an Evolutionary Biology of Language. Cambridge, Massachusetts: The Belknap Press of Harvard University Press. Locke, John. 1998 (1689-90). An Essay Concerning Human Understanding [Book III]. Ware: Wordsworth Editions: 255ff [see also the Project Gutenberg version]. Lord, A. B. 1960. The Singer of Tales. Cambridge, Mass. : Harvard University Press. Luria, Alexander 1982. Language and Cognition. Washington: Winston and Sons. Macfarlane, Alan and Richard Berengarten. ‘Interview with Richard Berengarten March 2015’ [see also the YouTube version]. Macfarlane, Alan et al. Filmed Interviews with Leading Thinkers [see also ‘Full list of Interviews’]. Mandelstam, Osip. 1973. Selected Poems, trans. Clarence Brown and W. S. Merwin. Harmondsworth: Penguin Books. _____ 1987. Tristia, trans. Bruce McClelland Barrytown, N.Y.: Station Hill Press. Mass Observation Archive, [see also ‘History of Mass Observation’]. Moore, Henry and Edward Lucie-Smith, 1981. ‘Henry Moore’ [Conversations with Artists]: BBC Archive. Radio 3 broadcast, December 6. Nin, Anaïs and Fernand Seguin. Undated. ‘Entrevista legendada’. Paris Review, the Interviews. 1953-2013. Parkinson, Michael. BBC Interviews, with: Peter Sellers, David Niven, Peter Ustinov, and Kenneth Williams. Phillips, Laurence, 2015. Lille. Bradt Travel Guides. Plato, Index to Works Online [Project Gutenberg]. Pound, Ezra. 1970. Drafts and Fragments of Cantos CX-CXVII. London: Faber and Faber. Price, Huw. 1997. Time’s Arrow and Archimedes’ Point. Oxford: Oxford University Press. Saussure, Ferdinand de. 1971 . Cours de Linguistique Générale, eds. Charles Ballyn and Albert Sechehaye with Albert Riedlinger. Paris: Payot. Tsien, Tsuen-Hsuin. 2013 . Written on Bamboo and Silk: The Beginnings of Chinese Books and Inscriptions, Chicago and London, University of Chicago Press. Turner, Victor. 1969. The Ritual Process: Structure and Anti-Structure. Chicago: Aldine Publishing Company. USC Shoah Foundation Visual History Archive. Vayenas, Nasos. 2010 . The Perfect Order: Selected Poems 1974-2010, eds./trans. Richard Berengarten and Paschalis Nikolaou. London: Anvil Press Poetry. Vygotsky, Lev Semyonovich. 2012 . Thought and Language [Mishlenye i rech], trans. Eugenia Hanfmann et al. Cambridge (Mass. ): MIT Press. Wittgenstein, Ludwig. 1972 . Philosophical Investigations, trans. E. M. Anscombe. Oxford: Basil Blackwell. 1970. Memoirs of Socrates and The Symposium, trans. Hugh Tredennick. Harmondsworth: Penguin Books [see also the Project Gutenberg version [The Memorabilia of Xenophon]. Yad Vashem Video Testimony Resource Center. Publication: Monday, 8 February 2016, at 20:07. Options: Archive for John Dillon, Richard Berengarten. Bookmark the permalink. Follow comments here with the RSS feed. Post a comment or leave a trackback. ‹ Closing down the bear pit.